The SDF in Deir Ezzor are preparing to mass invade the last Isis stronghold in the region: Arqoub. Operation Round Up (Jazeera Storm) troops are receiving new supplies and means to launch the final offensive against the Islamic State in the Middle Euphrates River Valley (MERV). The maneuvers will push on three axes: north, from Safafinah; south from Baghuz Fawqani, and east from Shajlah. The goal of the Syrian fighters is to tighten the circle on the last Daesh militiamen present in the area, crushing them along the Euphrates. In fact, both the village and the entire quadrant are constantly being bombed by the artillery and fighters of the International Coalition, to prevent jihadists from organizing effective defense. Meanwhile, the Sand Hippos are operating within enemy territory to rescue as many civilians as possible. At the same time, the mysterious group neutralizes the shooting posts and mortars of the militia, to facilitate the advance of the Arab-Kurdish forces. Meanwhile, the SDF continue to evacuate the population of Deir Ezzor from the areas of clash with Isis. In the last hours about 200 people have been saved, especially women and girls, escorted to refugee camps in the MERV. Their common characteristic is malnutrition. The militiamen of the Islamic State seized all foodstuffs in the controlled territories, starving the local inhabitants. These were forced to make do as they could to survive, even using animal feed. 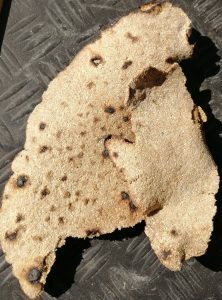 The Syrian fighters who welcomed them, in fact, discovered that they fed on a kind of bread made of fodder. Moreover, any family who wants to leave the quadrant must pay Daesh jihadists a “tax”. Otherwise, its components will remain inside and will be used as human shields. On the web the are tons of APPS that allow even the less experienced to try to hack smarphones and tablets. From Thechincidents the Top List of them. Velvet Security cyber security experts: The malware also steals information and credentials. It has spreaded really fast after cybercrime compromised a supply chain. Second chapter of study on the history of the two groups, to understand why they both share the same roots and purposes, aimed at recreating the Caliphate. The rise of bin Laden and Turabi up to AIM and Khomeini.